My life echoes with the spirits of a German immigrant family that came to America in 1749. He has long been traced as the original immigrant line of the family, but that seems more imagined than totally accurate. Over the years, the focus upon certain facts at the exclusion or poor weighing of similar salient facts has clouded the reality of the story - starting the Jacob Faw story in Frederick ignores a decade of life, and Abraham Faw's education in Winchester, Va and Leesburg, Va. The letter home in 1750 written by Jacob Pfauw (or Pfau, anglicized as Faw) from Fredericktowne (Winchester, Va), mentions that on arrival by ship in Philadelphia, he rode horseback three hundred miles to see relatives (possibly those below) and get money to pay their passage over. Otherwise, you were sold into indentured servitude for many years. The economic decline and religious belief in trine baptism have left the Basel Palantines impoverished in body and soul. A hundred years of scourges and internecine strife had reigned. Suzerainty and kingdoms called for peasant sacrifices and removals and church approbations. A 1733 letter from Charlestown, SC by a certain local immigrant named Antony Gondy seems to have started much interest, hidden interest because the dissemination and promotion of leaving was punishable, among the allied families we find eventually coming to America and helping one another across generations. In 1740 it is reported from Emigrant permits in Muttenz that Hans Jacob Pfau, showmaker, age 54 (not my immigrant Jacob, but a relative), and wife Katherina Spanhauer, age 60, with four youngest children (the two oldest children's spouses declined to go, Jacob and Sara Heyd, Margreth and Bernard Ramstein - government objecting to seperation of married couples. The latter of the laggards follow in 1749 on the ship "Crown"). They sailed eight weeks on "Friendship" under Captain William Vettery, and encountered "a most terrible storm upon the sea so that we all expected to be lost". Half, or nearly 60 emigrants from the Canton of Basel died on that voyage. 1740 the frontier is Lancaster County, by 1749 it is York, Pennsylvania though it is soon described as filled with artisans and devoid of open jobs. The mountains loom against a farming life, so immigrants point towards the Shenandoah Valley, moving through the Monocacy area. Soon they are west into what is now West Virginia, and colonizing the New River area of Virginia. 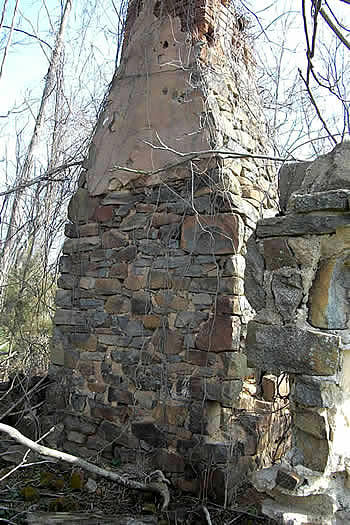 Before long, some have settled at Bethabara, NC after Indian raids and frontier strife. My Jacob Pfauw, a saddler, immigrates in 1749 with wife and four children, losing an infant girl in England to smallpox along the way. My Abraham survives the same smallpox. Jacob's wife is ill after landing and they stay close to Philadelphia until Spring, when the Leonard Heyer family assists them in waggonage to Winchester, Va. 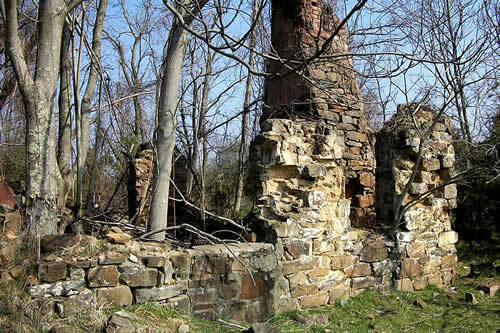 Here he seems to have taken one of the first town lots from Lord Fairfax, a half acre with a five acre common pasture, and across the alley from him lives a surveyor named George Washington. We know that Jacob Faw was paid by Virginia to send his man in servitude in 1756 to the French and Indian War, John Larbuck, a tailor. About a year ago, my knowledge of Jacob Pfauw grew immensely, thanks to recent improvements in internet records of land grants in Loudoun County, Va. I found some additional help from the Office of the Circuit Court Clerk and ordered copies of all the documents. Studying colonial deeds, or indentures, is a bit amusing, for in the 1750 timeframe, following English law, the sale, or Bargain and Sale in their terms, had to be complemented by an exchange, or in many cases, a lease agreement, which was often a peppercorn, a trivial item, which would never be worth actually collecting. The largest Loudoun County tract was described as lying on the Tuscarora Branch of Goose Creek, about a mile above the mouth, which gave me a general sense of where it might lie on the map. This tract was said to contain the former dwelling plantation of one George Slater, with orchards and other appurtenances. A big surprise also came once I found out about the earliest map of lots owners in Leesburg! Jacob Pfauw had at least four, an interest in a couple more briefly, all before the family moved on to Frederick, Maryland. Once I had collected copies of the deeds, I focused in on those I could identify on the ground. The large farm, a combined 355 acres, with house and orchard, was along Tusacrora Creek, just south of Leesburg, Va. From the maps, I found a likely undeveloped parcel alongside parkland. Moving on to aerial maps, I discerned what seemed to be a stone foundation. Inquiries of county staff were fruitless, I had to get there and look myself. I expected to be greatly disappointed, after all, it would most likely be a barn or working building ruin. It still in time could prove not to be the location I sought. So I visited the site, not far off Route 7 in an industrial and quarry area, back winding roads until the pavement ended. The parcel just prior had bulldozers working. A work manager in a truck drove out of the gravel road leading to my site, and he tells me, "Oh yeah, there's an old stone house back there." "How old do you think it is?" I asked him. "Mid Eighteenth century." he said. I talked to him about the parcel, which they did not own, and which he did not think would be any issue if I visited. I drove in and found the house ruin below. 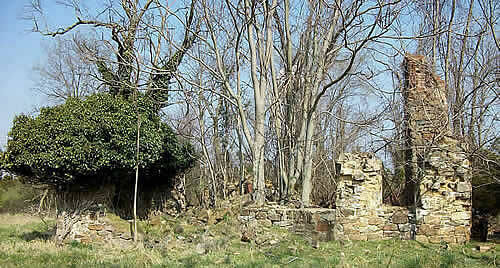 If my investigation proves correct by land records, this could be the second house of Jacob Faw, circa 1760. It likely was already built by the previous owner. From the stone work, I feel pretty confident this house is 1730 - 1750, in fact it seems to have some early modifications, maybe a ground level door was raised for a porch, a section of different colored stone fills a squared gap. It survived apparently because much later a brick house addition was added on the right side, and a cement block foundation section was added to the back, and aerials from 1957 appear to show it being farmed still, but by 1980 aerials it was knoecked down and I saw that a windowsill has evidence of a fire, though the interior stone does not. I am still proving that too, but it seems to have been one of the orginal Fairfax grant Lots in old town Winchester, Va. If the notes I've seen online are correct, and my extrapolation of maps is right, then it was across an alley from George Washington's Winchester abode during those early years of survey work. We know that once passage was paid, the family laid over with sickness and then allied family friends from back home assisted them in waggonage of their goods to Winchester. 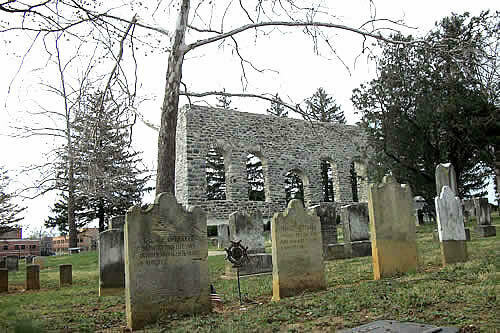 One attraction of Winchester was frontier land, but also the German Reformed Chruch whose second ruins is in the Mount Hebron Cemetery shown below. The German Reformed Church Ruin of 1764 which replaced the 1741 Church at the same cemetery location, and whose wall was restored in 2008. This church burned in 1854. 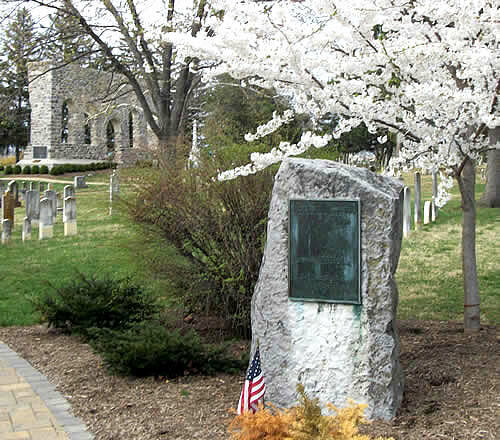 A monument to Lutheran Pioneers is nearby, alonside a dozen or more Revolutionary Soldier graves and the resting place of Daniel Morgan below. The complete story of the sons and daughters of Jacob Pfauw have been nearly lost to time, but here is what I think I've derived from multiple bits and pieces and sources. Our best known, Jacob Faw II, ends up as our direct line in Ashe County, NC. For generations, this family history was held in written and oral traditions. His grave is at Calloway Cemetery along the New River in the Obids section of Ashe County. Son Issac Faw and grandson Issac Faw carry the Brethren ministrial lines of Muddy Creek in Winston-Salem, NC. Much is written online about their extensive family, and many descendants as they move on to Illinois and Washington State. Jacob Pfauw is buried there at Muddy Creek on the family lands near where the home stood. 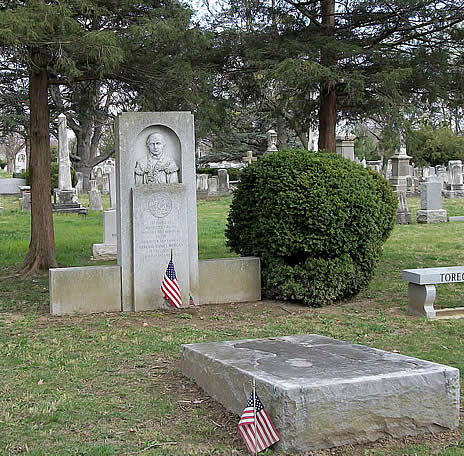 Son Abraham Faw has been delineated in both Frederick, MD and Alexandria, VA. Son Adam Faw disappears after 1800 from Ashe County, NC - either deceased or headed West? Daughter Magdalena died on voyage to America. Location of England burial is unknown. Daughter Anna Maria Pfau marries Peter Engels, Jr a gunsmith during the Revolution in Frederick, Maryland. They have eight children, all noted in the Evangelical Lutheran Church records at baptism, but she dies in childbirth. He soon remarries in a wedding attended by Abraham Faw and wife Juliana. Daughter Elisabeth Pfau marries Jonathan Michael Stocker. Much is written online about their extensive family, and many descendants from two subsequent wives in addition to Elisabeth. This has been hidden for many years by the records noting her last name as Fahs. 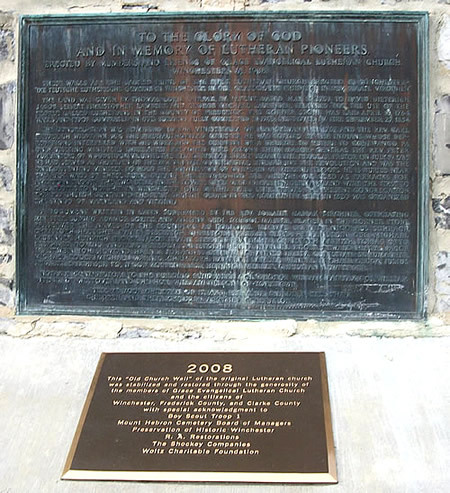 Sister Dorde Pfau married John Reagor, and they die in an Indian masscare at Fort Seyberts, WV in 1758 and are noted as buried at the stone walled mass grave. The children are taken captive, two girls escape a few years later and stake claims on family lands, Barbara marries John Likens and Dorothy marries John (Samuel) Caplinger. A son seems to reappear many years later, after a dozen or more years of captivity, appears married in Kentucky and progentior of a large family, he is John Anthony Reagor. Grandfather Johannes Pfauw is said to come to America in 1758 and perhaps dies a year later for his name disappears from the record. I welcome anyone who may add to, or challenge these pieces of the full Faw family, right now this is the best that I can determine. Much may be unproven assumptions and much may still be yielded from these connections I've drawn. But I sense that the living descendants who have the inspiration and emotion of following this genealogical course are dying out, the spirits that float in my thoughts are no longer spoken by those from whom I heard about them from as a child.